Do You Need to Invest in Replacement Windows and Doors in Deerfield, IL? As a homeowner, you have the opportunity to assess the current quality of your property. Have you been staying ahead of the maintenance to protect the value of your home? If it is time for repairs, you need to consider the best investment to maximize your final results. Here at Scientific Home Services Ltd, we are experts in the window industry. We offer replacement windows and doors, giving you an easy option to improve the quality of your home in many ways. If you live in Deerfield, IL or the surrounding areas, we invite you to contact us for a free consultation and estimate. On a hot summer afternoon or a cold winter day, do you want to enjoy your beautiful surroundings while staying comfortable inside? High-quality windows can help improve your view, which gives you the opportunity to enjoy your yard while relaxing on your couch. Old windows can have a negative impact on the views you have from within your home. The low-quality glass limits visibility and old frames can block an area you would like to see. On the other hand, replacement windows can transform your home to maximize these views. The glass and minimal frames won’t block your view of outside. At the same time, you can benefit from the natural sunlight that comes in through the windows. Not only will have you have beautiful views, but your Deerfield, IL home will also have an upgraded appearance. Replacement windows and doors will give your home a facelift, improving the overall style of your property. If you are looking for a way to boost curb appeal, consider how your current windows are contributing to the external appearance. Interior décor is also impacted by the quality of windows in your home. If you have old windows, you might have the urge to cover them up with drapes or blinds. As a result, the sunlight is limited in each room. Consider the style you would like to create in your home, then pick windows to match your preferences. A visual inspection of your windows might be enough proof to show that you need to invest in replacement windows and doors. When you look at all of the windows in your home, do you see wear and tear? Things such as cracks, broken frames, and other damaged parts indicate that you need to invest in replacement materials. Old windows not only look bad, but they also pose a security threat to your home. If someone wants to get inside, they might target the windows that are broken. Installing replacement windows can be a great way to protect the safety of your family and possessions. Another big benefit of new windows is that you can improve the energy efficiency of your home. Old windows are often drafty, letting in the temperatures from the outdoor weather. If your windows are leaking cold air on a snowy winter day, then your heater has to work overtime to keep your home warm. Condensation inside could be an indication that replacement windows are a good idea. Another sign is the change of temperature in the room. Walk around each room to notice if the temperature changes depending on where you are standing. If it gets colder by the windows, it is time to upgrade to improve the seal on your home. Not only will energy-efficient windows reduce the amount of energy your family uses each day, but these benefits will also help to decrease your utility bills. Even though you will be making an initial investment for the replacement windows, you will save money every month on utility costs. At Scientific Home Services Ltd, we are dedicated to the satisfaction of each customer. 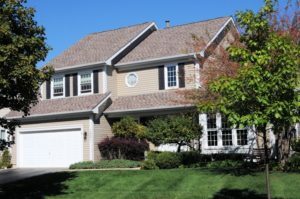 Our services are available for the greater Chicago area, including Deerfield, IL and the surrounding neighborhoods. If you are looking for high-quality window installation, we are here to help. When you hire our team, you will see that we never sacrifice quality or service. We want to maintain our excellent reputation by showing you what it is like to hire a contractor that truly cares. 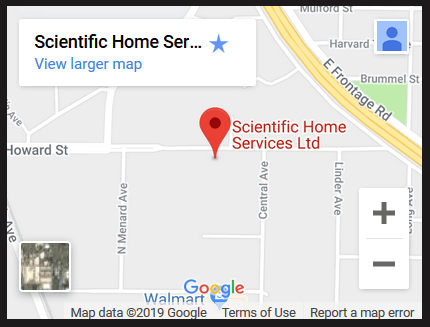 To schedule your free, no pressure estimate, contact our team at Scientific Home Services Ltd. You can visit our office to see the products that we offer in person: 5639 W Howard St, Niles, IL 60714. Call anytime if you have questions about any of the service we have available to you: (847) 752-0370.